If you can't stand the heat – don't get out of the kitchen. 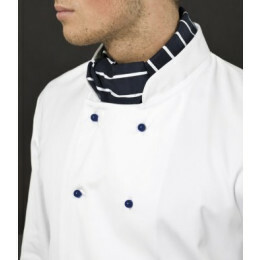 Simply invest in comfortable, easy-to-clean catering uniforms from the Gg Collection. 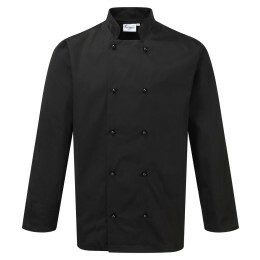 These kitchen scrubs and caterers' uniforms are designed to deal with all the rigours of the trade; from the heat of the kitchens to the potential spillages that every caterer has to deal with. 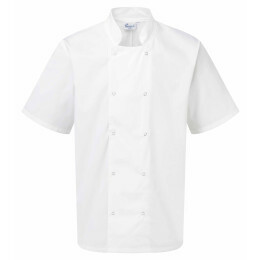 Chefs' jackets, tabards and aprons are all available, manufactured from tough fabrics that can handle all the regular cleaning that a clean kitchen demands. 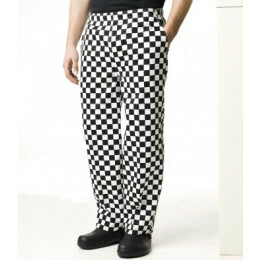 What's more, our commitment to value means that you don't need to break the bank to keep your caterers professionally attired. Put your best foot forward with our selection of ladies', men's and unisex shoes. From formal footwear to trainers and anti-static clogs, we'll ensure that your employees are comfortable and professional – no matter how long they're on their feet.